On October 13th 2018, Deaf History Scotland will be celebrating our 10th Anniversary! 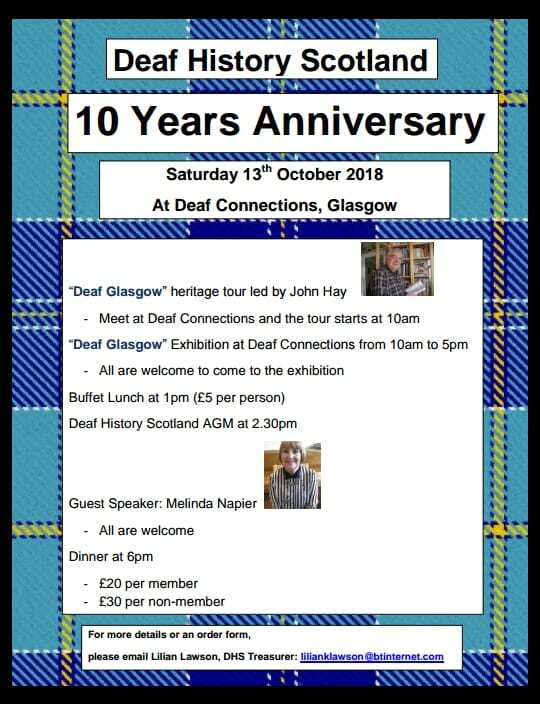 We will be Celebrating Glasgow’s Deaf Heritage with a special tour with John Hay, an exhibition (open until Friday 26th October), our Annual General Meeting including guest speaker Melinda Napier, and a celebratory meal in the evening. For more information please see the poster and BSL video below, or click the links above.